Easyslots.com knows that Ancient Egypt is historic enough, but with the new Pragmatic Play slot you could easily make it into the record books. The moonlit backdrop and golden colour scheme set the scene as you go on the hunt for some of the Pharaoh’s wealth. This 5-reel slot has 10 pay lines that can be activated for each spin. Despite having medium to high volatility, this slot has smooth game play and brilliant bonus features. Pragmatic Play have developed a solid game in Ancient Egypt. Deposit today and explore Ancient Egypt for its hidden gold. Play now! In terms of the game play, Ancient Egypt has a standard 5x3 reel setup and allows you to have a maximum of 10 pay lines in-play. As you’re spinning, the cryptic music makes you feel like you’re outside the Egyptian pyramids. * GOLDEN BEETLE WILD – This WILD can increase your winnings by 3 amounts depending on how many you hit on the reels. If you activate the Free Spins, a random symbol will be selected to determine your expanding symbol. That symbol will expand to cover the whole reel if that specific symbol triggers a win. You can learn more about mobile slots deposit. Ancient Egypt isn’t the best slot that you’ll ever play, but the bonus features definitely make it a worthwhile experience. The bonus game is more than enough to make up for the medium to high volatility that the base game possesses. 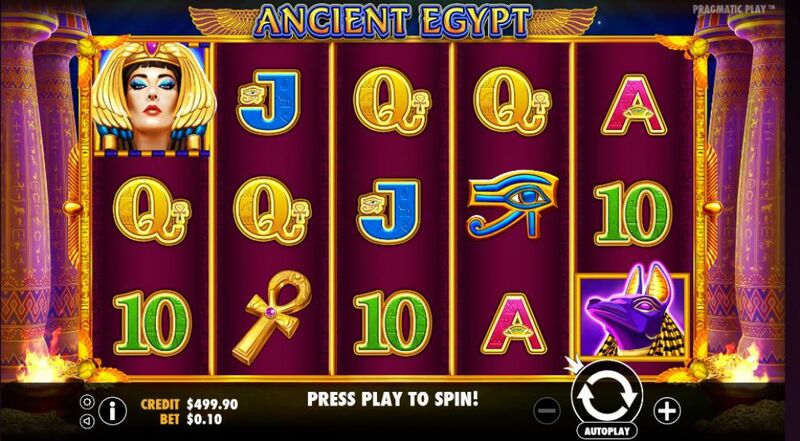 As far as video slots go, Ancient Egypt is certainly a great visual slot with vivid animations and graphics. Start spinning today and collect as much ancient treasure as possible. 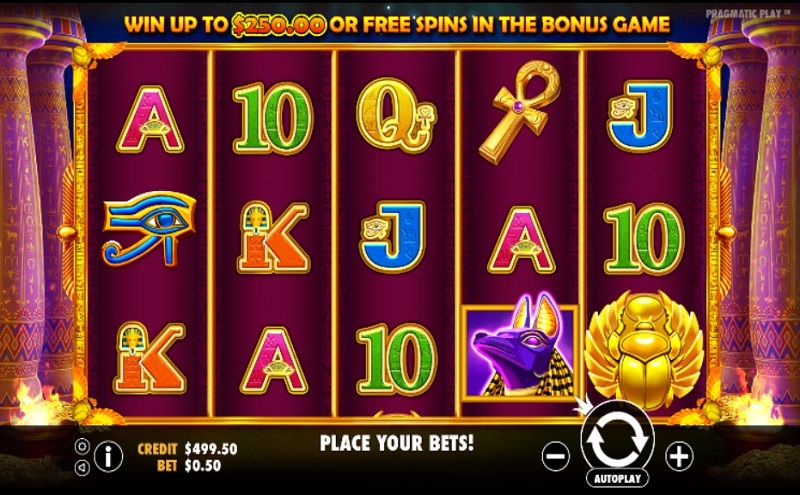 If you enjoyed Ancient Egypt why not try Lucky Slots Game.